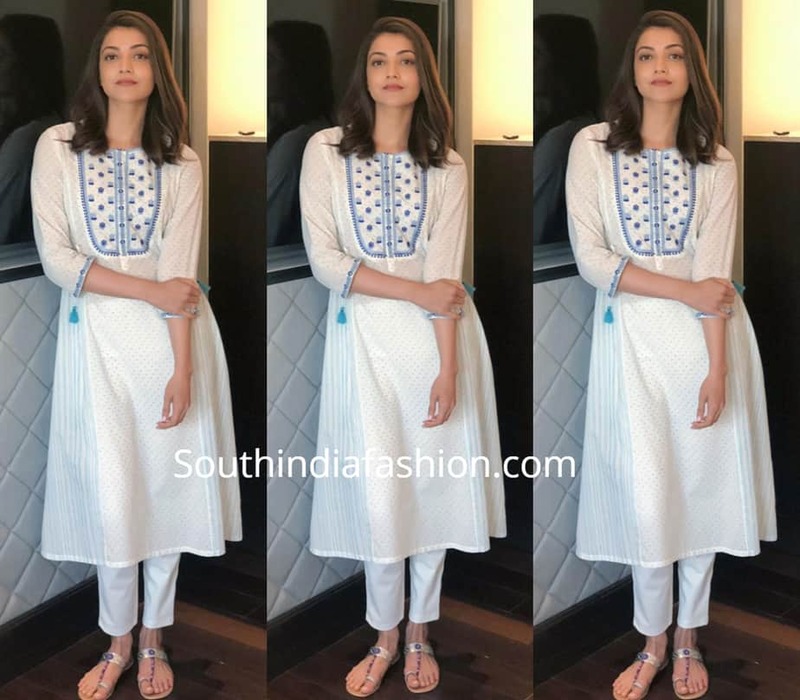 Kajal Aggarwal was recently seen in a white printed kurta with matching pants by Global Desi. She rounded off her look with a pair of silver kolhapuris by Aparajita Toor and wavy hair! Shop Global Desi kurtas online HERE!